Webster’s dictionary defines “wealth” as the “plentiful supply of a particular resource.” And when it comes to building up a “plentiful supply” of money, it isn’t simply about making more, but rather putting healthy financial habits in place to help you keep more of what you earn each month. Whether you’re a long-time investor with multiple rental properties, or a newbie redeveloper working on your first deal, the biggest breakthroughs you’ll make in your financial life will usually be in the small, frequent actions you take in regards to your money. Here are seven healthy financial habits, one for each day of the week, that you can add to your investor toolbox and help you keep more of your precious income. Nobody likes to budget, especially if it’s a financial skill you aren’t accustomed to, but there’s no better way to get a handle on your financial health than tracking your expenses. One trick, to avoid expense-tracking overwhelm, is to develop the habit of tracking one expense category at a time. Start by picking an expense in a financial category you feel might be a problem area, and do your best to track every expenditure. Whether it’s meals, entertainment — or how much you’re spending on insurance — take a few minutes to thoroughly track one area of your expenses. Proceed to brainstorm ways you might be able to reduce those expenses, and you will find it gets easier with time. The term “savings” sometimes gets a bad rap. Perhaps it’s because most savings accounts have an interest rate that hover somewhere around .01%. But “savings” is really just about spending less than you make, then finding constructive ways to use that surplus, such as paying off bad debt or looking for investments. And one of the best ways to boost the amount of “savings” you accrue each month — without earning more — is to automate your savings. Setting financial goals is just the first step to building wealth. The real “secret sauce” comes when you prioritize those goals in an actionable order. We’ve all done it; we’ve gone shopping with a “list” — only to find ourselves buying many things we didn’t actually need. Or we find ourselves going back, to the same store, again and again, wasting gas, time and money. One expert tip is to get in the habit of creating master shopping lists for a variety of life needs. (E.g. : groceries, DIY projects, clothing, donation, farmer’s market, cleaning supplies, etc.) And then when you go shopping, only buy (or do) what’s on your master list. There are many helpful mobile apps that you can use in this endeavor; Our Groceries is a popular choice with great reviews and an easy-to-use interface. But get in the habit of consistently building targeted shopping lists — in which you buy nothing but what’s on the master list — and you’ll not only spend less money, but be far less stressed in the process. Doesn’t matter whether it’s your cable bill or that department store shirt you’ve got your eye one, chances are you can often get a better price (on almost any product) or service simply by asking. Many companies offer loyal customer discounts, a feature many “loyal customers” don’t even know about. Other businesses will offer “bundle pricing” if you decide to sign up for a suite of services. Sometimes this is as simple as asking if there’s a “better price” on an item. (It never hurts to ask.) You won’t always succeed – many times a discount isn’t available – but if you get in the habit of constantly asking for a discount, you might just find a whole, new source of passive income. Financial education isn’t something you achieve overnight. And it isn’t something you finally attain, then no longer have to learn more about. It’s a continual pursuit, in which you learn now just how to spend less, but discover how money actually works, and the keys you need to build long-term wealth. Read books on investing. 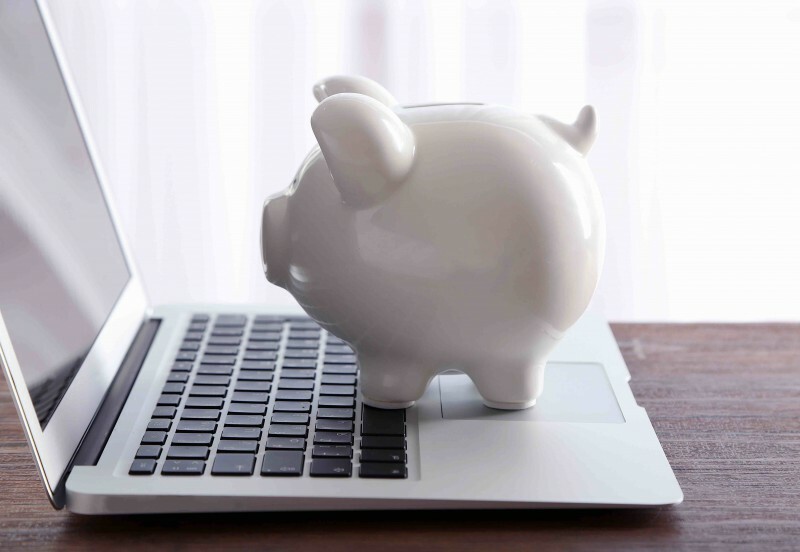 Scour blog posts on financial literacy. Listen to podcasts on investing. Make it a weekly (daily, if you can) habit of constantly learning the ins and outs of money. Might just the healthiest financial habit of all. An authority no less than the Harvard Medical School found expressing gratitude, every day, is not just a way to feel better, but also reduce stress and earn more money. Though it may not sound like a financial habit, off the bat, expressing gratitude for the level of prosperity you do have, instead of wishing that Rolls Royce you want would drop from the sky, can help you avoid “impulse buys” that may make you feel better, emotionally, but won’t help you reach your financial goals. Developing healthy financial habits isn’t just about checking your account balance and saving more than you spend. It’s about noticing you already do have financial habits in place. It’s your job to determine which habits serve you, and which stand in your way. But if you become more attuned to your relationship to money, take small actions to derive more savings where you can — and be grateful for where you are financially — you might just find these productive financial habits do more than boost your bottom line. They might just change your life.